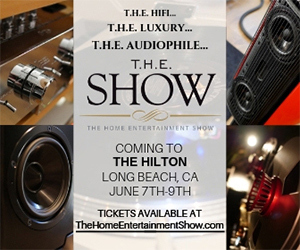 I feel bad that the audiophile press people didn’t make it to the Lakeshore B ballroom to experience what many called, “the best sound of the show” and “magnificent”. And it’s frustrating that they didn’t write about the fabulous real high-resolution, multichannel sound we delivered…a trade show first. I’ve searched the web and read the reports that have been written by writers from the big audio magazines Stereophile and The Absolute Sound…there’s no mention of AIX Records or our demo anywhere to be found. Even the usual small website bloggers and sites missed our room. I feel bad because the partners and I assembled an amazing sounding room. And they deserve to have some well-deserved press attention. Those who did come by (and often returned for more) heard the magic. They learned that it doesn’t take hundreds of thousands of dollars to deliver accurate, clear, rich, warm, and fully dynamic sound. When I read the various authors proclaiming a room as “Best Sound” and saying it had “the most natural and realistic sound at the show”, I have to wonder what’s going on? How can an all-encompassing statement like that be justified when the author didn’t visit and evaluate all of the rooms? Skipping one of the biggest ballrooms at the entire event seems like more than a simple oversight. Why is it that every press person that made the effort to come to Chicago avoided our room? Maybe it would be useful for those of you that heard the system to go to the TAS or Stereophile AXPONA write up pages and describe the sound and experience that we delivered. A campaign that would point out the myopic viewpoint of the major writers and magazines might be helpful…or piss them off. I routinely share my thoughts in a comment or two on those sites. You can read what I posted to one of Jason Victor Serinus’ posts by clicking here. The “best sound” award from Jim Hannon of TAS went to the MBL system. I’ve experienced the MBL room with the omnidirectional speakers and expensive electronics and understand why they are perennial favorites. The sound is loud and enveloping. However, their approach to speaker design doesn’t work well for the kind of recording and mixing that I do. That was the problem that I had last year with the monumentally expensive German Physics speakers…great sound produced without direction doesn’t maintain directional information. A surround system (or stereo system) that sounds great no matter where you are in the listening space is not a system that can deliver a proper spatialized mix. Dynamic impact? The dynamic range of a really great professional analog tape machine tops out at 10-12 bits of digital equivalence (without noise reduction), placing CDs well above the potential of analog tape. I cherish my Nagra IVs machine and look back fondly on my decades of using analog tape to record and reproduce music but things change. However, sadly some people and writers don’t. “I recently attended a seminar titled, “High-Resolution Audio Demystified” at AXPONA (Audio Expo North America) in Chicago where Dr. Mark Waldrep spoke about audio provenance, defining high-resolution audio and the challenges of producing great sounding recordings. Waldrep recently upset some in the audio community by stating that digital now has the ability to sound better than vinyl. (Gasp…that’s heresy!) What did he expect? After all, audio is a religion. Maybe in 2000 years we will have the analogs and the digitals fighting each other for the right to teach their children about ‘The Beatles’. It could happen. 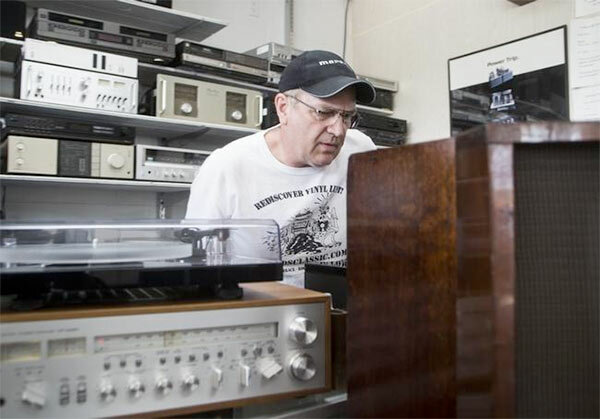 Here’s a guy that makes his living tweaking, repairing, and providing vintage audio equipment as props for movies and television productions but he’s honest and smart enough to know that vinyl LPs and analog tape are unable to match high-resolution PCM digital. The reviewers at the major trade publications and the analog advocates around the web need to abandon their “my way or the highway” approach and open up to the realities of current technology…digital and state-of-the-art analog. It’s not only disappointing but also impossible for the “best sound” at AXPONA (or any other trade show) to be sourced from a restored and tweaked consumer analog tape machine. I can only imagine what the MBL room would have sounded like with a proper high-resolution PCM digital front end. What a crock. For all you do Mark for real HiRez and surround music done properly, the way you are ignored by the audiophile press is repulsive. I really don’t know what else you can do. Reading the above article just makes me mad, and totally frustrated. I can imagine how you feel after taking the time, effort, and financial hit to appear just to be ignored by most. Thanks Jon…it is frustrating. We did have an incredible room. Don’t worry Mark. 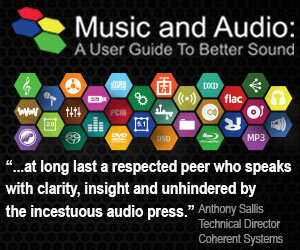 The whole audiophile press and trade thing is a joke. It is a joke but also very sad too. I was there when David Hafler was perfecting the ultra linear output circuit and bringing affordable HiFi to market threw Dynaco. Reviewers like Anthony Cordesman and J G Holt were doing their best to write honest reviews and advance the SOTA in HiFi. 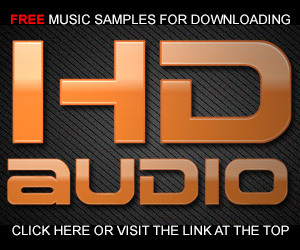 Today high end audio has become a haven for husslers looking only to fatten their wallets via lies and mis-direction. There are a lot of good people in the industry but far too few. Imagine how much real progress could have been made if the industry was controlled and directed by designers, engineers, and reviewers who’s real concerns was honesty. Those guys prey on people with more bucks than brains. It’s a dirty shame that such rip-off artists are getting any press other than their convictions for fraud. As I’ve said before, I’m not format, medium, or matrix-religious. It’s all about the results. If hamsters running the wheel made the best sound, I’d be a hamster guy. While I highly respect the top reviewers, there is always politics involved despite all disclaimers. I have been involved with the audio/video marriage darn near since the dawn. When folks choose their gear, they have a budget. If they are doing multi-channel A/V, their speaker budget is now divided by six, and folks don’t triple the budget from a pair to six. It is logical to state that for the same money, they can buy 6 so-so ones, or two excellent ones. This is part of it. 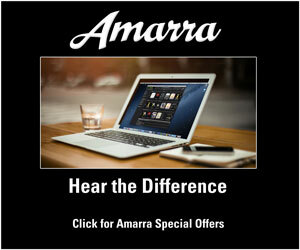 The domestic real estate needed for correct multi-speaker alignment is another snag. As well, having a TV between your loudspeakers causes many false early arrivals to be generated off the screen, diffusing and de-focusing the stereo image. These are all real-world factors which are perhaps banished when you play your fine AIX recordings in a best case scenario, but never go away in reality. Thus few are able to domestically duplicate the circumstances and acoustic environment needed to do this right, and anyone experienced in this field knows this. This could also play a part in being excluded. I frequently have to remind myself that “the higher road is always the hardest path to travel.” Maybe that’s the least discomforting way to look at your frustration; happens to me too in other audio areas. Mark, I may have points of view that you do not share to say the least, but we are all career warriors for better sound, so I am sorry to hear you didn’t get a fair shake. I was selling nice stereos before remote control and before the reviews became a filter between me, my clients, and what they heard in the shop. Back then, it was just the client, me, and the sound that came out of the box. Since I don’t need coaching on audio fundamentals or help educating and demonstrating clean sound, I often wish it still were that way. Keep your standards up because that is what drives you. Chin up. It is entirely possible to disagree about various topics but we should not lose sight of the fact that all of us who promote better sound for enhanced enjoyment of music have core values in common. Most all my previous messages have been about differences in point of view or how facts are interpreted. I am always striving to find ‘the middle ground ‘ when professionals disagree, and believe it or not that is actually what I have been trying to explore and find in dialogues with you, but it’s been tough. Now you can see that I am supportive of your efforts and work, would love to get the new Blu-ray sampler disc. It is entirely possible and even predictable that we have differences, but more in common than different. How about that? I enjoy your participation and regard you as a fellow advocate for better audio. I recognize that I’ve staked out a rather uncompromising stance on high-resolution audio but I’m convinced that if we don’t hold a high standard it will fail. When I get manufactured copies of the new sampler, you’ll be one of the first to know. I have heard the mbls at many of these types of shows as well as in a reviewer’s home several times. I have never been impressed. Loud usually sums it up. They have nice detail, lack bass and dynamics and for me, fail to convey the sound of real live music. To each his own I guess. For the MBLs running analog tape to win is intellectual dishonesty at the most blatant level. How can anyone take omnidirectional speakers to be anything more than a gimmick? Sure, it’s a great effect but go put regular speakers in a racquetball court or a good stairwell and you can get roughly the same effect for free. Clearly these people aren’t interested in REAL engineering. I would’ve loved to have been there to hear Mark’s demo room and tweaked the noses of the snake oil salemen. The real problem here (and in many other places) is that TRUTH isn’t necessarily conducive to good sales. Emotions are. Good point-emotions help make the sale. You don’t play along with the snake oil peddlers boys club. Next year stick those Synergistic Research devices all over your equipment and around the room along with boldly announcing their use outside the room. Won’t make any improvement but can’t hurt your sound either. Might get you in the boys club. Did they delete your post too, I can’t find the post you made and linked too? Mark, did you contact the press before the event to inform them of what you were demonstrating or did you hold a pre-invited press reception? In my view each magazine owes it to their readers to visit each and every room in the show but, as I know from long experience in other fields, they tend to go where the best food and drink “jolly” is being held. It’s somewhat reprehensible behaviour on their behalf, but the result of not pandering to it is often the end result you are now reflecting on. I wish it were different, but sadly the most bored people at a show are the press, who get to try all the good stuff at home anyway. I realize I should have reached out to the various members of the press and/or their publications. Last year I did and we even had a special event with a live performer for comparison to the recorded version. We supplied drinks and food. Did it help…well, I know several members of the press came and then wrote how wrong headed I am and others simply came, grabbed a drink, and left. Go figure. You have taken up the gauntlet for verifiable engineering and demystifying audio voodoo from Peter Aczel IMO. Too bad The Audio Critic is gone. He would have recognized your contributions. Keep up the good fight. Thanks Scott. I enjoy writing but it’s my recordings that I’m most proud of. With regard to the perennial debate of vinyl versus CD. One thing that as struck me recently after revisiting my vinyl is the extreme variability of sound quality from one LP to another. I have more LP’s than CDs but have enough to compare the same material on later purchases, upgrades, from vinyl to CD and also from CD to CD over different artists. I have a modest setup that sounds great with good source material and poor with not so good source material. My point is that i wonder if like is ever compared to like when one medium is compared to another? Your emphasis of the best microphones through to speakers as always been important whatever the media. But cost as always been the major factor when selling either the source medium or the players of the source medium. It struck me at the time of the introduction of CD players that many people were easily swayed away from LPs because CDs were more convenient and didnt crackle and pop and that created an opening for CD and since then many recordings have been made with only that medium in mind. I think most audiophiles at that time had great systems for playing LPs and not so great or unaffordable CD players available, they had very large collections of records why should they replace them with CD versions when the source was the same? There is an awful lot of great recordings out there and nearly all of them on master tapes and in some cases only on vinyl that need to be saved. 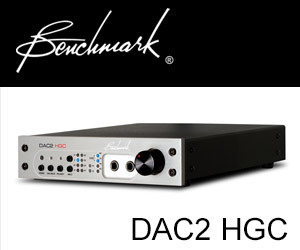 Thanks for your posts and when i have got my DAC setup working properly i will be buying some of your recordings Mark, take care and as with many in these posts i think what you are trying to do is very much worth it and behind you. My experience of vinyl and CD pretty much reflects your own, in that vinyl is a far more hit and miss format in terms of sound quality. When all the stars are aligned, i.e when you’ve invested in a record cleaner and many thousands of dollars worth of turntable, arm and cartridge, vinyl does have some rather redeeming and appealing characteristics. However, what I personally find more engaging is how CD’s purchased some 30 years ago have never sounded better than when ripped and played through the DAC I bought in the middle of last year. It’s pretty clear that there’s still a lot to come from 16/44 and, with that in mind, I sold my vinyl collection to 100% fund the DAC. I don’t miss the rituals of vinyl at all, and actually think I’m getting more out my digital music than ever, what with being able to access any lossless track from my armchair via JRiver. An interesting aspect of old CDs that I think is getting overlooked in the current vinyl craze is that they contain in many cases recordings that will never be bettered, as master tapes deteriorate, as per the blog article here last week. The older the CD the better, in some cases, as they were produced before the loudness wars were declared on our ears. A recent revisit to some old Decca classical CDs from the mid to late 80s that I hadn’t played for at least a decade was a real eye opener. Fantastic uncompressed dynamics and recordings by engineers who knew a thing or two about what makes a recording sound great. First of all Mark, I missed your April in house seminar. I really wanted to be there. I have some serious health issues and was so sick I wasn’t coherent. It is hard to be some where when ya don’t know what day it is. Anyway, you probably didn’t get any recognition in Chicago if you are gong against the grain. Maybe the publications don’t like competition because it might be bad business. And maybe, just maybe, the right, (and left), palms aren’t being greased sufficiently. That is the American way after all. Sad isn’t it. Walt, I hope you’re feeling better. I know my lungs are improving…I’ve even been back at the beach a few times with Charlie running a few miles. I was fortunate enough to be able to take in the Axpona show this year, and the first stop I made was to your room after dropping my coat at the coat check. I did briefly gaze at the Dayton Audio table as I made my way your direction. I will say that the sound was very very good and it did top what I heard that day in most of the other rooms. I would have liked to have lingered longer in your room, but with only one day in town I had to move quickly. I could have also spent more time talking about your JRiver interface problems as well, as I have made it a point to master that program! Overall I thought the show was nice, it’s the first I have ever attended outside of C.E.S. over ten years ago, but it’s funny how the audiophile press just had all kinds of issues with the rooms and the sound and so on. It really all sounded wonderful to me and it was clear which rooms were superior. Two observations from my point of view (a) the industry laments that not enough “young people” are embracing this hobby but then they do nothing to pull younger people in. The hotel had no advertising outside the building and there were a thousand college age kids roaming the streets of the area, who were in town for a flag corps competition. None of them had any clue Axpona was going on. I even was in attendance with my 28 year old daughter who had some moderate interest in some of the equipment, but not one person in any of the rooms paid any attention to her upon entry and (b) in the future I need to bring my own music to demo. Every room had their share of classical and jazz and vocal and tired old Steely Dan and Eagles releases, but, when I requested in many a room new offerings by Ed Sheeran or Taylor Swift or other modern artists I was stared at blankly. Lesson learned and next year I’ll bring my own tunes. Wonderful posts, keep up the good work. Thanks Larry, I’m so glad you got to come by the room. The point about the young people has been a weak spot in the audiophile world for a long time. The only enticement is the headphone room. I must admit to having refused a request to play some tunes from an attendee. Of course, I’m a record company and am not interested in hearing non AIX Records stuff. Very valid point about being a record company and obviously not sampling other’s wares!! I just recently signed up for your site at the urging of an acquaintance and honestly have to admit I do not know yet what all you are in to (except for the quest for 5.1 and super high resolution audio). I am sorry I missed getting one of the sampler discs when I was there to try in my home setup, but, am planning already to attend Axpona next year, or perhaps CES in January and will certainly revisit your room. Welcome Larry…I would recommend that you visit some of the older posts to get the vibe of my message. Maybe what you need to do is tell some reporter that your recordings are coated with oil from the Regmont glands of Enhydris chinensis. That would be, literally, snake oil from an imaginary source. Whatever it takes to get ’em in the door. Then the sound will keep ’em there.